I'm a (relatively) new Mac QGIS user, and I'm having trouble with my processing toolbox. I've checked that the applications and command line files are correct from other message boards on this website, so I don't think that should be the issue at this point but let me know if they're not correct. Under the menu section of the Processing>>Options section, I see the Orfeo toolbox but there aren't any dropdown options like the other menu options that are actually showing up. Any ideas as to what I've done wrong here? 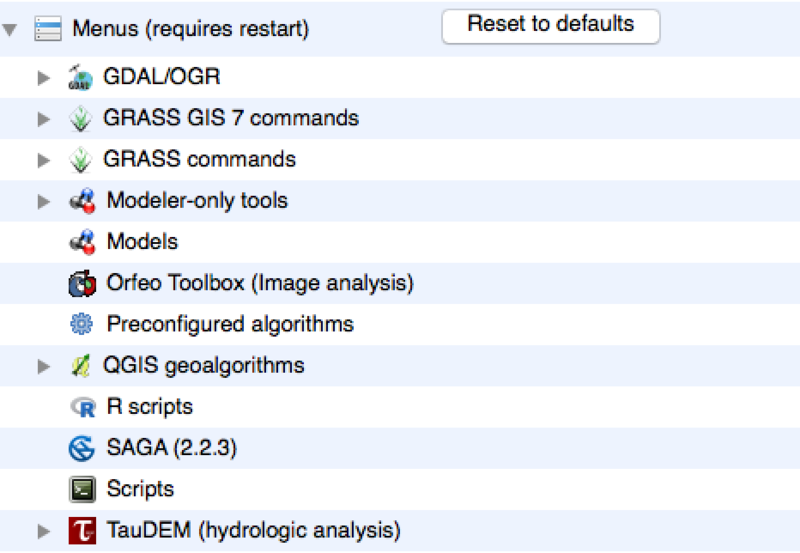 QGIS includes its own internal copies of GRASS, Orfeo Toolbox, SAGA and TauDEM. Not the answer you're looking for? Browse other questions tagged qgis-processing toolbox or ask your own question. Is it possible to use memory layers in QGIS processing algorithms? Why is SAGA from the Processing Plugin not recognised? 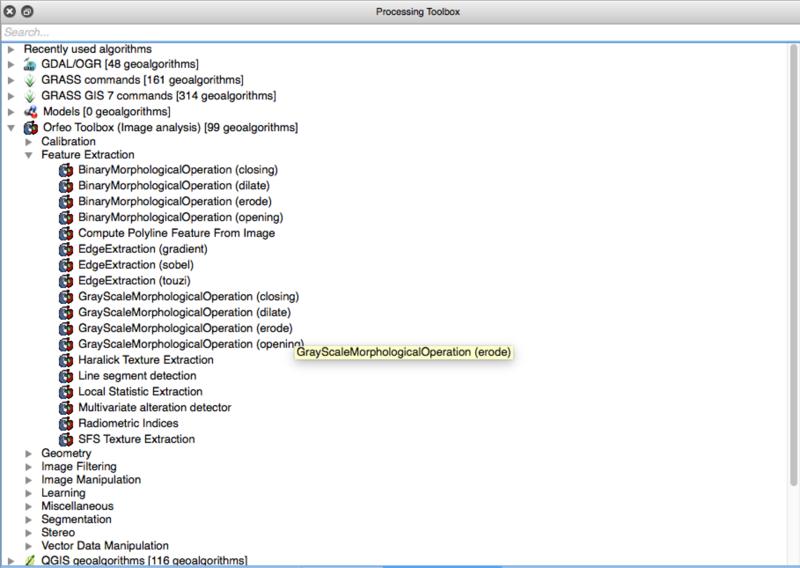 GRASS via Processing Toolbox doesn't work in QGIS 2.8.3 on Mac? 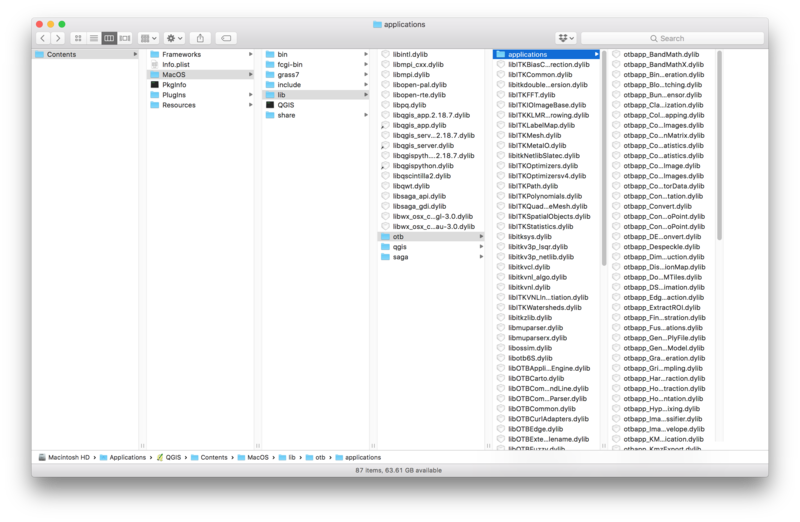 Where are the temporary output layers from QGIS processing algorithms stored? 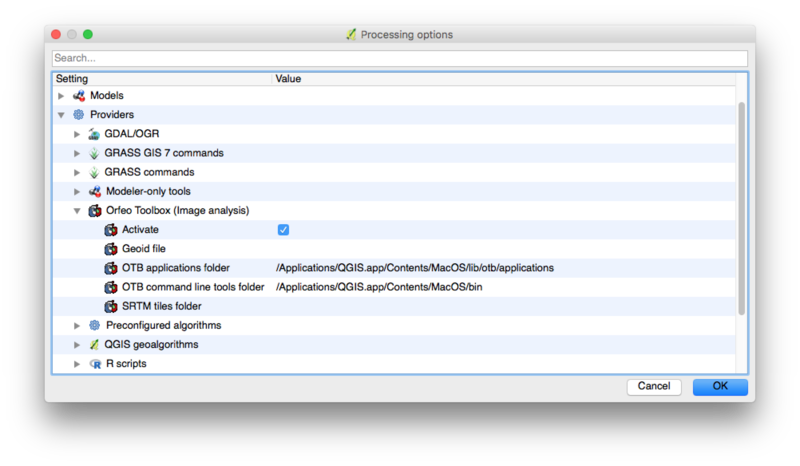 How do you view your Python scripts in the processing toolbox in QGIS 3?